These parkas come from the “Bundespolizei,” the German Federal Police. This lineage is reflected in their design — unlike state police clothing, BGS gear is produced by the same manufacturers that supplies the Bundeswehr. In fact, the only difference between this and some military parkas is a more olive shade of olive drab. Some Germans aren't too happy about this. According to the German constitution, policing is the responsibility of individual German states, not the federal government. 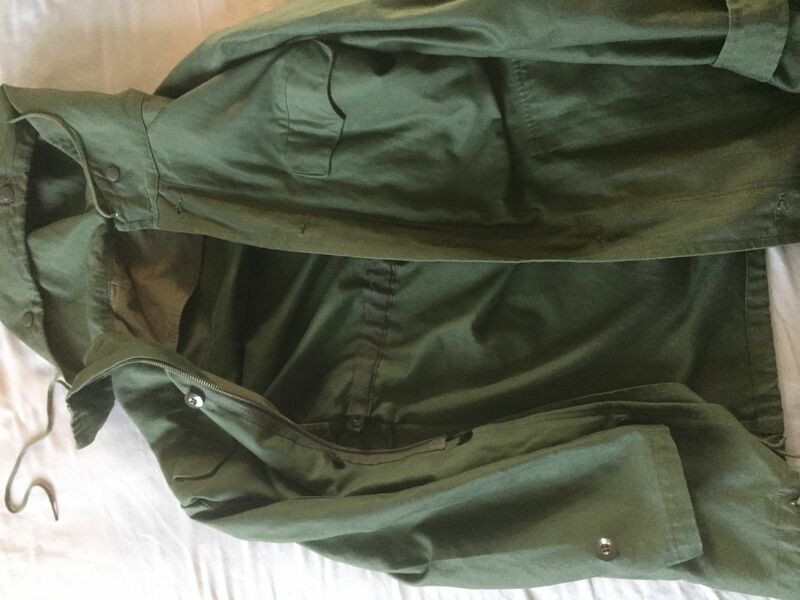 Regardless, everyone should have at least one olive drab military parka in their life, and it should be the real thing — not a department store knockoff. The Germans know what they're doing. They won't let you down. Looks great and has become my daily autumn coat. Deep pockets for mags, smokes, and tools. Perfect fit. I live in North Dakota where it gets kinda chilly. This jacket isnt good enough on its own but it makes a great top layer for when its brutally cold. Only complaint is the plastic they use as padding in the shoulders which makes you sound like youre smuggling peanut brittle. Other than, great jacket with a nice warm liner. It's a nice, hefty, good-looking parka. No visible signs of use other than two of the buttons being looser than they should be, and what I assume is someone's name written on the liner's material tag thing. For whatever reason, I ordered it in size 50, even though I'm a size 48. I lucked out and got one with a size 50 liner, but a size 48 outer jacket.